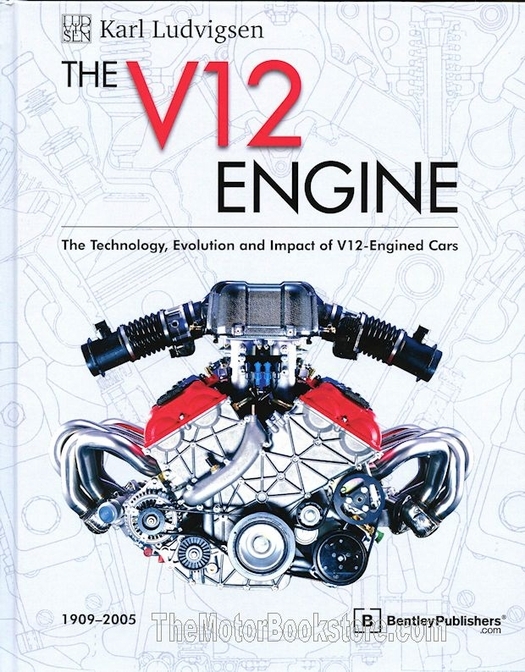 The V12 Engine: The Technology, Evolution and Impact of V12-Engined Cars (1909-2005) book explores one of the most popular machines in racing and auto manufacturing. Inside its 500+ pages, you get an excruciatingly thorough review of the V12 engine history, evolution and influence in the auto industry. From the 1930s still-luxurious Hispano-Suiza through the Lamborghini supercars right up to the how trailblazers like Mercedes and BMW still depend on the V12 in the 21st Century, this is a great story for the car enthusiast. The V12 Engine reference book names names: Jesse Vincent, Louis Coatalen, W.O. Bentley, Marc Birkigt, Sir William Lyons, Paolo Stanzani, all names even the most ardent car lover may have never heard of but whose contribution is probably still influencing the way they ride. 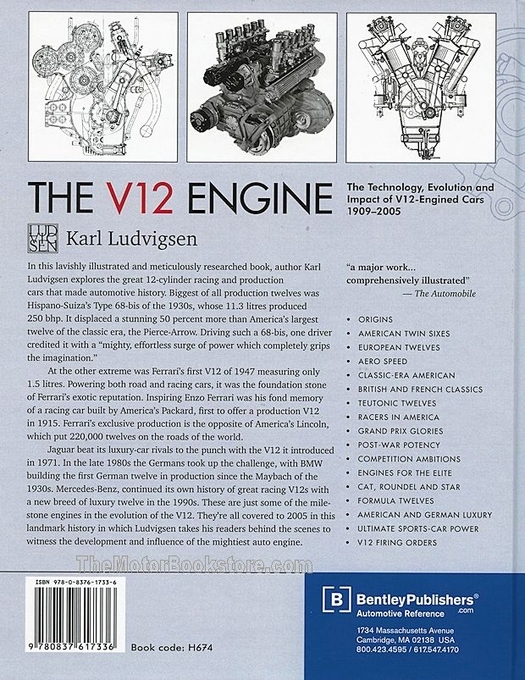 Karl Ludvigsen has forgotten more about the V12 engine history, evolution and the motor industry than most of us will ever learn. He�s been an exec with Fiat, Ford and GM, and headed a consulting agency. His career as historian and author on cars goes back five decades. Ask a question about The V12 Engine.